Do I want a Diamond Certified auto body repair shop that is rated best in quality and backed by the Diamond Certified Guarantee? What is my end goal for getting my car, truck or minivan repaired (major collision damage, bumper and fender repair, new auto paint or auto body ding repair)? Will my auto insurance cover the auto body work? Why Trust Diamond Certified Auto Body Shops Rated Highest in Quality? NAPA — Only the best auto body shops in Napa County have earned the Diamond Certified award by scoring Highest in Quality in the most accurate and rigorous ratings process anywhere. You’ll never be fooled by fake reviews, since all research is performed by live telephone interviews that verify only real customers are surveyed. Most companies can’t pass this test. That’s why you’ll feel confident when you choose a Diamond Certified auto body shop listed below. Simply click on the name of a Diamond Certified company below to read ratings results, informational articles and verbatim customer survey responses. Thousands of customers of local companies have been interviewed in live telephone calls, and only companies that score Highest in Quality in customer satisfaction–a 90+ on a 100 scale–as well as pass all of the credential-based ratings earn Diamond Certified. By requiring such a high score to qualify, the Diamond Certified program cuts out mediocre and poorly performing companies. If you want quality, you’ll have confidence in choosing Diamond Certified companies. And you’re backed by the Diamond Certified Performance Guarantee. 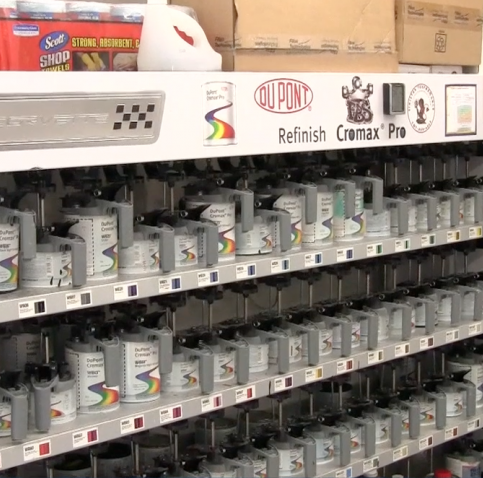 Fulton Body Shop’s in-house Axalta paint mixing system allows its technicians to find a perfect match for every make and model. Fulton Body Shop uses original equipment manufacturer (OEM) parts. 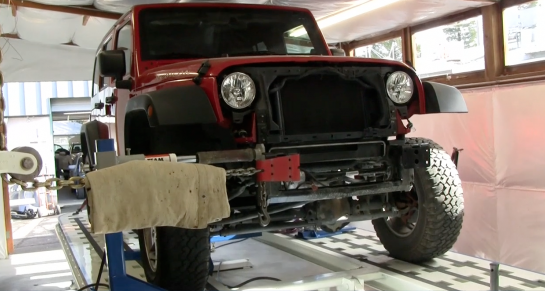 Fulton Body Shop protects its customers’ cars during the repair process. 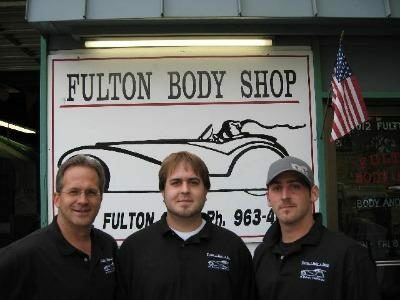 Fulton Body Shop is a third-generation, family-owned business. 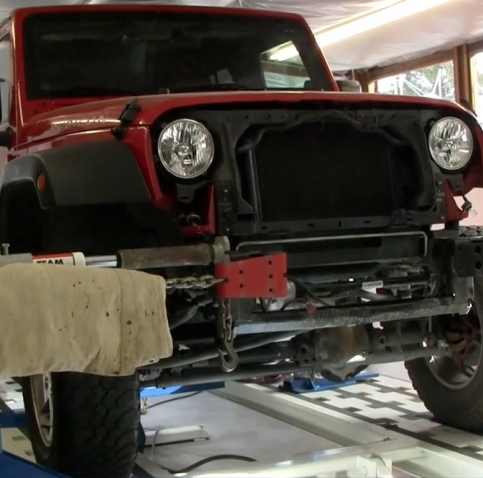 Fulton Body Shop uses state-of-the-art frame straightening equipment. When customers bring in their cars for simple repairs, Fulton Body Shop can provide same- or next-day service. 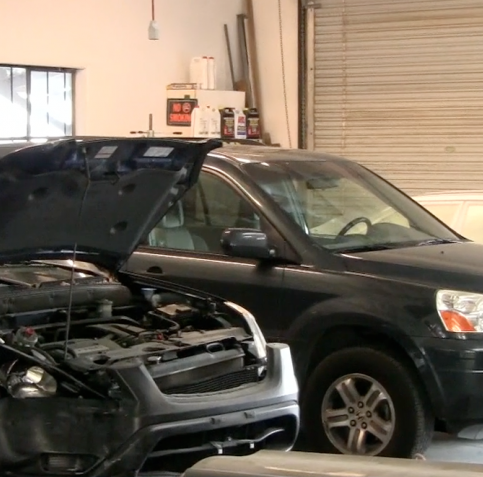 Fulton Body Shop’s spacious facility accommodates multiple repairs simultaneously. 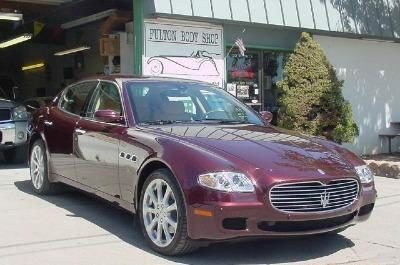 Fulton Body Shop services all types of vehicles, including high-end European models. 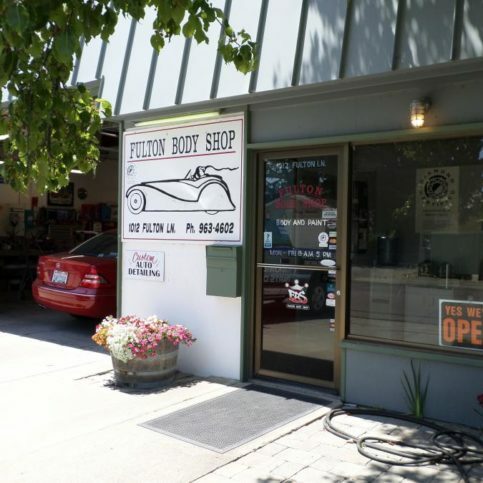 Fulton Body Shop is located in the heart of St. Helena at 1012 Fulton Lane. Fulton Body Shop uses this tool to ensure a perfect color match. The following industry associations and consumer agencies have additional information about local body repair shops. Before you drop off your vehicle at an auto body shop or have it towed in for repairs, talk directly with the shop owner or service manager. The questions you ask and the responses the auto collision mechanics give will help you make your choice on an auto body repair facility. You may want to write down the body shop representatives answers. Does your vehicle body repair shop work on my make and model (i.e., Chevrolet, Ford, GM, Honda, Lexus, BMW, Toyota, etc.)? Do you specialize in the type of auto body repair work my vehicle needs (i.e. bumper replacement, fender repair, paint color matching, car door repair)? How do you price auto body repairs and auto painting services (i.e. a flat fee or hourly rate)? What certifications do the technicians hold for vehicle collision repairs? I live in ___ (Napa, American Canyon, Calistoga, Rutherford, Oakville, Deer Park, Pope Valley, St. Helena, etc.). Does your auto body shop have courtesy cars or rental vehicles I can use? Will you cooperate with my car insurance company? If so, can the insurance appraiser come to your collision repair shop to file the claim? Will you use new or used parts to repair my cars damage? What auto paints brands do you recommend (BASF Waterborne, PPG auto paints, Dupli-Color, DuPont car paints, Valspar, Sherwin-Williams vehicle paint)? Why do you use those brands? Are your mechanics covered by workers’ compensation and liability insurance? What kind of warranty do you offer on auto body repairs and new auto paint? Will you do auto glass installation or put in new windshields? Can you provide auto upholstery repair? How long has your auto body shop been in business in Napa County? How long will my car collision repairs take? Do you coordinate with other auto body shops if you can’t complete all of the collision repairs yourself? Will that affect any warranties? Should I call you for updates about my car’s body repairs? What contact information do you have for me? What else do you need in order to reach me if there are problems or questions? All Diamond Certified auto body collision shops have passed a ratings process that most other companies can’t. If you want quality auto body repairs in Napa County and the greater Bay Area, you’ll have confidence choosing Diamond Certified companies. You can read Diamond Certified reports on all certified companies, including verbatim survey responses. And you’ll never be fooled by fake reviews. That’s because all research is done by live telephone interviews of a large, random sample of real auto body customers. If you can’t find a Diamond Certified vehicle collision shop within reach, you’ll need to conduct some research of your own. Keep in mind, though, that customer references provided by most auto body repair shops are not as valuable as the large random sample of customers surveyed during the Diamond Certified ratings process. That’s because references are “cherry-picked,” meaning shops are likely just giving you a few satisfied customers to call, unlike the Diamond Certified ratings process which randomly selects among a large sample of customers. Were you satisfied with the performance of _(body shop name)_ auto body shop? If you live in a smaller Napa County town such as Angwin, Oakville, Spanish Flat, Pope Valley, Rutherford and Deer Park, was the auto body shop willing to tow in your car or truck for collision repairs? Did the shop do the repairs exactly as you wanted them? Were you happy with the communication from this auto shop? 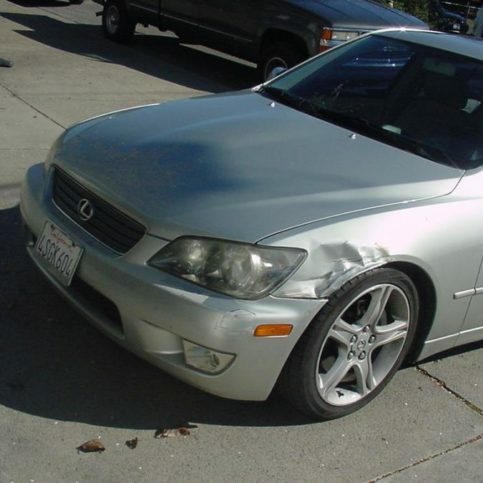 Did the Napa County auto body shop help you deal with your insurance company? Would you go back to this collision center again if your car, truck or van were in a crash? Your auto body repair shop determines the value and quality of your vehicle after the repairs are completed. And since vehicles are often one of our largest investments, it’s not a decision to take lightly. Can an auto body shop satisfy your requirements for scheduling, body repairs and part preferences? Is the shop willing to work with your insurance company while still providing the best outcome for you and your vehicle? Does the service writer communicate clearly and effectively? 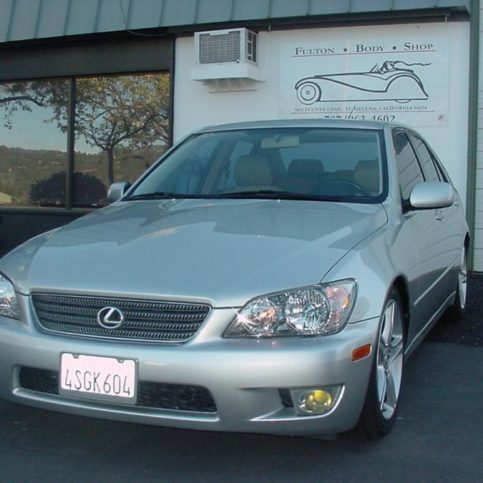 Is the auto body shop as devoted to getting your car back to like-new condition as you are? If the answers are yes, confidently move forward and set up an appointment with the auto body shop of your choice. 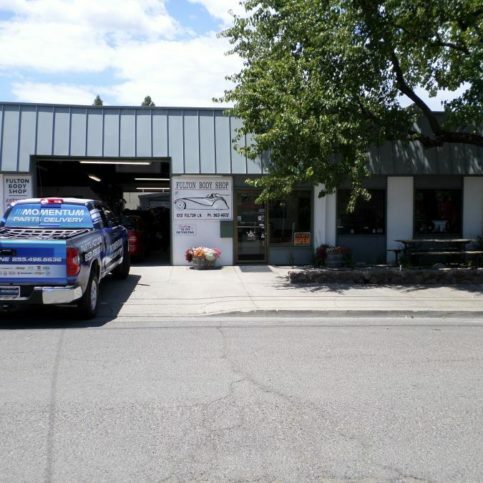 If you’ve found the Napa County auto body shop that meets your needs, that’s great news! Here are a few things you can do to get accurate estimates and the quality service you expect. Meet with the service writer and discuss the necessary repairs. Remember that the goal of every good auto body shop is to fully repair collision damage. Your car should look and function like it did before the accident. The shop should provide you with a written estimate when you, your collision repair facility and your car insurance company agree on the needed repairs. By law, this estimate must include the total estimated cost for all car parts and labor, an itemized list of necessary parts, and whether the parts are new or used. Some auto body shops in only guarantee certain auto body parts or auto paint, so confirm any warrantees at this time. Your agreement with the shop is binding when you sign the work order. For your protection, never sign a blank work order or incomplete estimate. You must approve any changes to the work order or estimate, so be sure to give the auto body technicians a phone number where they can reach you at all times. You can help keep your repairs on schedule and ensure that you get your vehicle back in on time by returning their calls right away. It’s the responsibility of the body shop technicians to perform a thorough and complete repair job on your car. But you play a big part in the success of your automobile’s repair too. Here are a few simple steps you can take to be a good customer when your van, minivan, truck or car needs refinishing or accident damage repair. Be clear and upfront with the auto body repair shop representative. Let them know what the problem is, what outcome you’re expecting from the vehicle collision repairs and specific ways they can satisfy your expectations. Before you leave your car, truck or van at an auto body shop, restate your expectations and goals, and reiterate to the auto body repair technicians your understanding of the agreement. Most problems with auto repair shops occur because of a breakdown in communication. By being clear about your expectations and theirs, you can avoid most conflicts. Be sure your service writer has the phone number where they can reach you while your car or truck is in for vehicle body repairs. Your repairs will move along more smoothly if your service writer can reach you for any necessary updates or authorizations for car body repair work. Ask your service writer if you should call to check on the progress of your vehicle body repairs or if he will call you with updates. When your collision repair shop contacts you, return their calls promptly to help keep repairs on schedule. Pay for car body repairs promptly. Why would you want to be a good customer? Auto body repair shops value customers who are straightforward, honest and easy to work with. Your good customer behavior helps set the tone and creates an environment that invites a good relationship. Things may very well go smoother and any problems more easily resolved. A list of all repair work performed. Compare the work that was done to the written invoice. Ask your body repair specialist to show you each repair, and check each one against the invoice. Your shop should give you instructions for maintaining your collision repairs and new auto body paint. If you have questions about what was completed or how the work was done, now is the time to ask. What the warranties cover. This may include whether the shop will replace or repair warranted parts or give you a refund if there is a warranty claim. Any exclusions must be in writing. Your responsibility if you need to redeem your vehicle body repair warranty (i.e., if you have to pay for labor, agree to used parts or pay a prorated amount). If auto body repair warranty coverage is covers the new owner if you sell your vehicle. The top requests for auto body repair listed below are available within the following Napa County cities. Read the paragraphs below for the definition of each car body repair. Auto body repair includes dent and scratch repair, bumper & fender repair, vehicle frame repairs and other restoration of the exterior of your vehicle. Car body damage can result from vehicle collisions, car accidents and acts of vandalism. 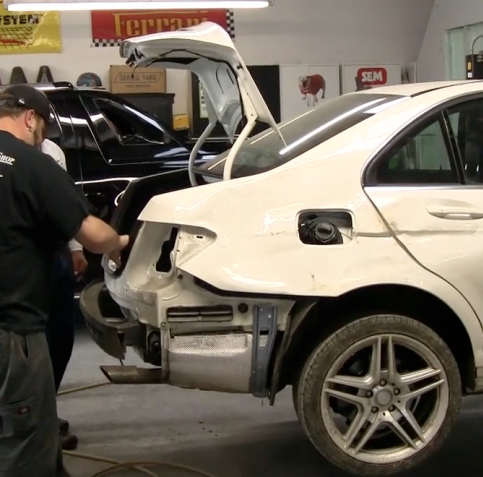 Auto body repair shops throughout Napa County offer bumper repair and replacement, auto painting and scratch and dent repair for vehicles involved in collisions and auto crashes. Whether from a fender-bender or a careless passerby, car dents can be a nuisance. Auto body repair shops can pull dents to make your car, truck, van or minivan look like new. Automobile dent repair may require vehicle repainting depending on the severity of the damage. Auto body shops provide automotive painting for collision damage repairs and to restore vehicles including cars, trucks, vans and minivans. A new coat of paint can change the look of your vehicle by allowing you to repaint your vehicle a new color or cover damaged areas that have obvious dents, scratches, chips and auto paint dings. A common request for body repair shops is bumper repair to fix bumper dents, fender-benders, and bumper tears and scrapes. Bumper repair usually includes dent removal and repainting. Bumper replacement includes removing and replacing an entire bumper that’s been too badly damaged in a car crash for bumper repairs. Much more serious than the average dent, scratch or sideswipe, vehicle frames bent in collisions and car accidents require straightening in order to drive correctly. Bent vehicle frames that are not straightened can cause uneven wear on the car or truck and make it more vulnerable in an accident. Only licensed auto body repair shops have the equipment and expertise to straighten vehicle frames after a collision or car accident. Below are terms and their descriptions that will help you navigate your way through your auto’s repair from beginning to end. Auto body repair parts not made by the original manufacturer. Aftermarket parts are made to fit and function the same as the original car parts, and they’re often less expensive than OEM (Original Equipment Manufacturer) auto body parts. Some aftermarket auto body parts have been redesigned to increase the performance of your car, truck, van or minivan. Some auto parts stores, like NAPA Auto Parts, sell wholesale auto body parts. These aftermarket auto body parts include car antennas, new vehicle bumpers, car mirrors, new car doors, auto fenders and fender flares, automotive grills, new car and truck hoods, hubcaps, replacement and new running boards, truck tailgates and truck tonneau covers. Automotive paint process in which the basecoat is highly colored and shows through the durable and glossy clear coat. ChipGuard is a chip resistant, protective coating applied to cars, trucks, minivans and vans to avoid paint chipping. Chip Guard is normally applied to the lower panels at the front of vehicles and near the tires. This clear car paint protector keeps automotive defends against stones, bugs and road debris that can damage your automotive finish. Direct repair insurance programs are an agreement between auto body shops and auto insurance companies. These DRP repair shops agree to repair collision damage using a standardized set of rules and procedures including repair techniques, parts and materials used, warranty coverage and billing practices in exchange for the insurance company directing customers to their cooperating direct repair program body shops. Edge-to-edge repair is a complete autobody repair for trucks, cars, minivans and vans. 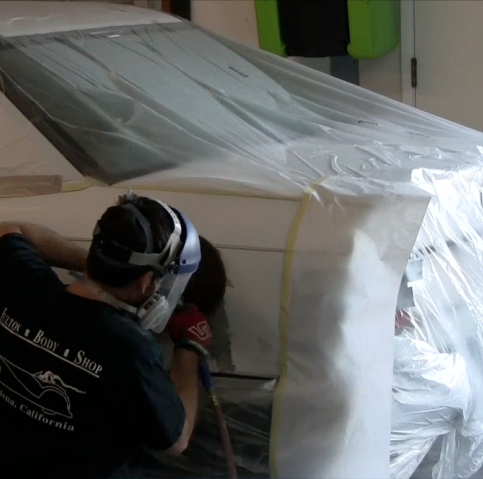 This type of auto body repair requires the removal and replacement or restoration of an entire vehicle panel. This is the opposite of car body touch-up or spot repairs, which are possible for damaged auto body panels and auto paint when only a small area is damaged, chipping or removed. Salvaged auto body parts removed from one vehicle and installed on another are often denoted as LKQ on estimates and invoices for auto body repairs. These car body parts rarely come with warranties and are often much less expensive than new autobody parts. LKQ auto parts may be the best option for owners of rare or specialty vehicles that have a hard time finding new auto body parts for their van, car or truck. Metallic auto paint is standard colored vehicle paint that has fine metallic particles mixed in to add shine and sparkle. DuPont, Sherwin-Williams Automotive Finishes, Trinity 1945, 3M, Krylon and SEM are some popular makers of metallic vehicle paints. Auto parts made by vehicle manufacturers including Ford, Chrysler, GM, Toyota, Honda and BMW are original equipment manufacturer parts. While they may cost more than aftermarket auto parts, OEM parts usually fit better, last longer and are covered by more extensive warranties. Exterior auto parts taken from recycled vehicles are called salvage auto parts. These are often inexpensive, but they usually don’t come with warranties because they haven’t been repaired or altered so their reliability can’t be guaranteed. Salvage auto parts for trucks, cars and minivans are often a last resort for vehicle owners looking for hard-to-find parts for rare or older vehicles. Commonly salvaged auto body parts include car and truck bumpers, vehicle doors, car body panels and car mirrors. A: At a time when you most need assurance of a job well done, Diamond Certified helps you choose an auto body repair shop with confidence by offering a list of top-rated local companies who have passed the country’s most in-depth rating process. Only auto collision repair shops rated Highest in Quality earn the prestigious Diamond Certified award. Most companies can’t pass the ratings. American Ratings Corporation also monitors every Diamond Certified company with in-depth and ongoing research and ratings. And your purchase is backed by the Diamond Certified Performance Guarantee. 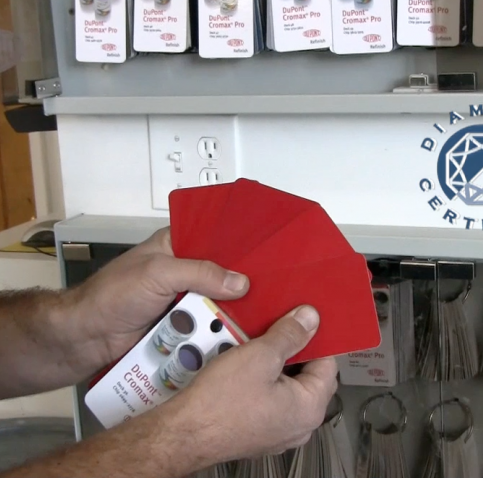 So you’ll feel confident choosing a Diamond Certified auto body shop for your vehicle repair. Q: My insurance company gave me a list of auto body repair shops in Napa County. Do I have to use their shops? A: While your insurance company can suggest body shops, you have the final decision on where you take your vehicle for collision repairs. Take your car, truck, van or minivan to the body repair center you prefer. Your obligation is simply to contact your insurance company to let them know where your vehicle is. A: Auto body shops have a variety of different quality materials and parts they can use to repair vehicles damaged in collisions. OEM (Original Equipment Manufacturer) parts are the most expensive body parts for the shop to use, so many automatically install used parts, refurbished parts or even salvaged parts to cut down costs. But you do have a choice. If you caused the accident, wording in your insurance coverage may require the body shop to install used, remanufactured or salvage auto body parts in your vehicle. However, you may have the option to pay the difference for OEM parts instead. Talk to your car body shop’s service writer and your insurance company about your specific situation. If the accident was not your fault, you can tell your chosen vehicle collision center what quality parts to install. Ask for OEM auto body parts that will restore your vehicle to pre-accident condition in terms of safety and value. A: Most car body shops in Napa County are happy to help you navigate confusing insurance claims paperwork. In fact, many will work directly with the insurance company to process your claims, limiting and even avoiding any work on your part. If this is important to you, ask the body shops you’re considering if they offer that service before you drop your vehicle off. A: Honest auto body shops in Napa County will never offer to do this. That’s because all insurance holders have a contractual obligation to pay their deductible before the insurance company pays the rest of the bill on every claim. This cuts down on insurance fraud. Some auto body repair shops do offer to bury the deductible or hide it in the cost of the repairs. However, car body repair shops that do this are committing insurance fraud, which is against the law. And customers who ask their auto body repair shop to hide the deductible or go along with this can also be held liable for insurance fraud. Even if your insurance company doesn’t catch you, asking your mechanic to bury the deductible in the cost of your auto body repairs is a mistake. Often times, auto body collision shops who agree to bury the deductible will take shortcuts in your vehicle collision repairs, meaning your car or truck will lose value and may not be as safe in an accident. It also stands to reason that a collision center that cheats insurance companies may be willing to cheat customers as well. Q: What if my auto body shop performs the collision repairs incorrectly? A: You should be very careful about who you hire to repair your auto body damage. That’s because once body collision repairs are done, they’re often very hard or impossible to reverse. That means that a body shop that does a poor repair job can actually end up causing your vehicle to be unsafe. It’s also important to note that insurance won’t pay for the same repairs twice, so even if you can find a repair shop in Napa County willing and able to undo the shoddy auto body repairs, all costs will most likely come out of your pocket.